The Titanium Aircraft Seat That Can Cut $400,000 Per Plane Per Year! 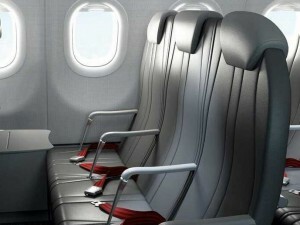 More and more airline companies are making the move to lighter seats in an attempt to save money on fuel consumption. For the most part, thin seats made by Germany’s Recaro have been all the rage but three French guys are looking to change this trend with their new titanium seat that is said to be three times lighter than Recaro’s. Expliseat, created in 2011 by Jean-Charles Samuelian, Vincent Tejedor, and Benjamin Saada weighs merely 8.8 pounds and is made of titanium and composites. The seat is “pre-reclined” 18 degrees and was created specifically for Airbus 320 and Boeing 737 aircraft, which represent a gigantic market potential for Expliseat. The best part about Expliseat? Installing the new seat is estimated to save $400,000 on fuel consumption per plane per year. Put this new seat on hundreds of planes and we are talking hundreds of millions of dollars in savings!